CSP Control Center is a cloud platform purpose built for Microsoft CSP partners, enabling them to distribute, sell, bill and provision cloud solutions. Access extended to end customers, enable them to purchase, provision and manage cloud resources directly from your marketplace. Hosted on by high-performance and highly available Azure services with promised enterprise-class SLA’s. Sell Non-Microsoft offers and your services. All Microsoft CSP offers and SKU’s are pre-loaded and monthly updated with Microsoft pricing, making it easy for you to sell them effectively on your custom pricing. Integration with accounting software such as Quickbooks, Xero etc. Making it effortless for your finance department to reconcile and process CSP billing, every month. GDPR and PCI compliant platform with enterprise-level security. Integrated Azure AD authentication with robust RBAC and encryption. Custom integration can be implemented based on requirements. Azure billing is now easy, with complete visibility on spend for you and your customers with your margins added. Well proven business automation solution for CSP partners, used by cloud solutions providers across the globe. 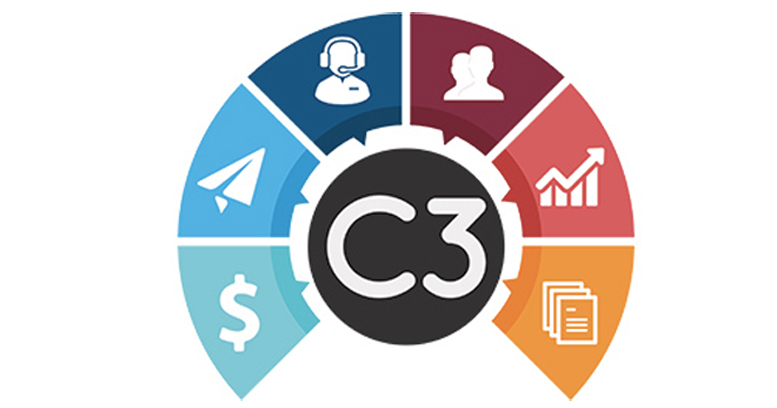 Before C3, TurnPoint was drowning in the complexity of Microsoft's CSP platform, but C3 removed all the complexity and allowed TurnPoint to focus on what we do best: Helping our customers succeed with Microsoft Online Services. in processing millions of cloud transactions every month! There are various Microsoft cloud services available for Microsoft CSP Partners to resales, To make it easier for partners to explore and understand what offers are available for sale every month, C3 includes a free PowerBI based report available publicly. This free report helps partners to track changes to CSP offers and pricing every month.